Each one and one-half hour session in this series focuses on a specific aspect of professional development and career skill building. Participants will leave with new tools and skills. During the Money Management workshop, participants will discuss money saving tips and how to use tools such as a personal balance sheet, a personal income statement, and a personal budget. Attendees will walk away with a tool they learned how to use through the session and a list of other money saving tips that they can use right away. This session will be most valuable for individuals who are in the early stages of thinking about money management. Registration is required and is available online at iue.edu/leadership. There is no charge for the Career Advantage Series sessions; they are being underwritten by the School of Business and Economics. A box lunch will be provided. The workshop will be presented by Marcy Jance, assistant professor of business administration at Indiana University East. Jance earned her Ph.D. in Management Science from Illinois Institute of Technology in Chicago. 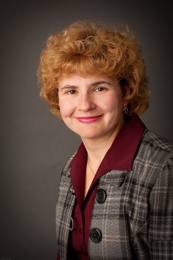 Jance primarily teaches courses in statistics, introduction to business, and decision modeling. Visit iue.edu/leadership for more information.